Westbourne Summer Festival 2016 – Sat 13 August. 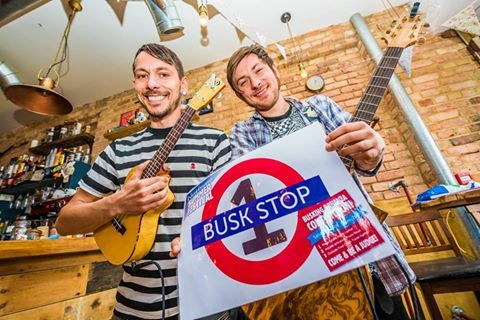 Don’t forget – It’s the Busking Bonanza competition from 12 – 3pm – 3 busk stops, 9 buskers and cash prizes! (Pictured are last year’s winners). Camden Bar Westbourne is hosting ‘Camden Vintage’. Painting outside The Letterbox and games and balloons outside#Fairtrader newsagents in the arcade. #UkeleleJam will be performing from 10.30 and raising funds for the NSPCC in the arcade too. Free childrens’ craft activities in the library. Come and capture your family in the wooden photo booth outside Attico Shop.